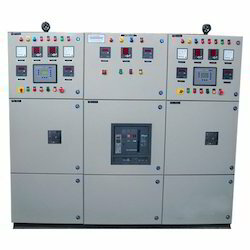 Our product range includes a wide range of synchronization panel for generator. We are engaged in the business of Synchronization Panel for Generator. These products are highly demanded by the customers. Generator synchronization is the process of matching the speed and frequency of a generator. They design this range to meet the demands of our valued patrons. We also offer a comprehensive range of services such as repair. Looking for Synchronization Panel for Generator ?